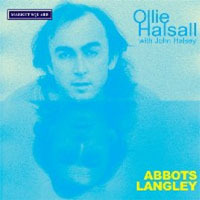 OLLIE HALSALL is perhaps best known as the talented and respected guitarist in Patto and later Boxer. He was also in constant demand as a session musician, appearing with the likes of Jon Hiseman, Neil Innes (and The Rutles), Viv Stanshall, John Cale and John Otway. The demos which form the basis of this fascinating Market Square release were made in the aftermath of Ollie's appearance in The Glitter Band and after the death of his friend and musical soul-mate Mike Patto. As his friend and collaborator John Otway says in the sleeve notes "He was one of those interesting characters that people liked, but he didn't make much noise and his talent didn't receive the recognition due. It's fitting that this little album is here to shed new light on him." "A valuable addition to the discography of a singular and much-missed talent." a versatile and professional talent. 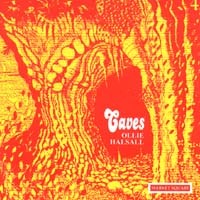 Caves also testifies that there was more to the musical terrain in the late-70s than just punks plus a few jurassic supergroups for easy baiting."